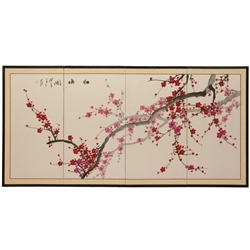 Plum and cherry blossom motifs signify new beginnings, and this one is particularly lovely, with finely rendered branches and blossoms. Note that no two renderings are exactly the same. 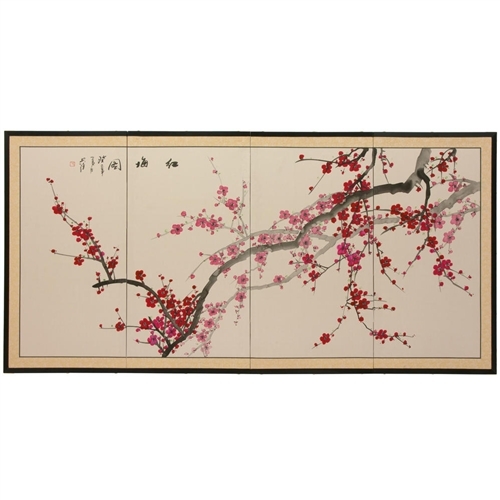 Subtle, beautiful hand painted wall art.